Obesity, the accumulation of surplus body fat, is commonly linked to excessive food intake, lack of exercise, and genetic predisposition. 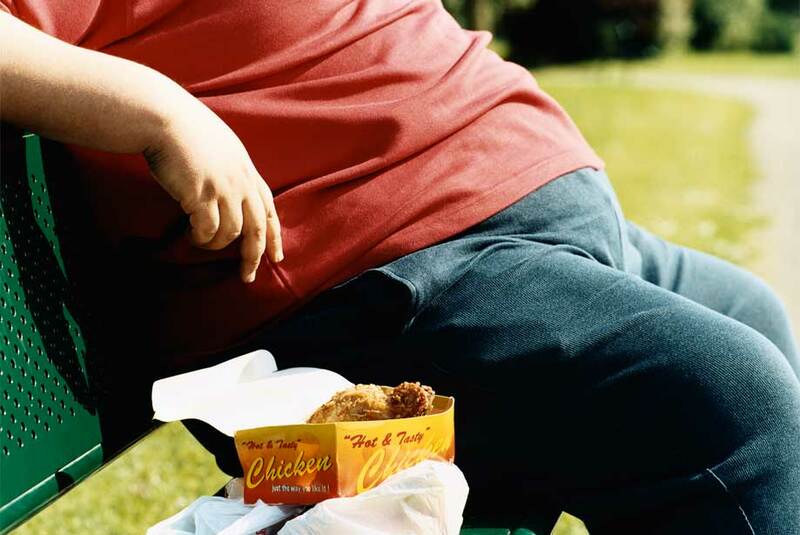 However, obesity is a mostly preventable condition. For decades, researchers have looked for ways to reduce obesity and related health problems such as heart disease, diabetes and cancer. New research in the field has raised a new question: can we fight fat with fat? Our bodies produce at least two types of fat tissue including white and brown fat cells. It was originally assumed that only babies generate brown fat to keep warm until the ability to shiver is developed. However, new studies suggest adults also have small amounts of brown fat, but it has been difficult to determine the role of brown fat after childhood. Researchers have recently identified a molecular pathway that enables specialized brown fat cells to burn calories rather than store them. The report identifies a fat cell secreted enzyme, called PM20D1, which triggers the production of metabolites called N-acyl amino acids that uncouple fat burning from other metabolic processes. Surprisingly, injection of the N-acyl amino acids into obese mice on high fat diets caused significant weight loss after eight days of treatment. These data suggest that the enzyme PM20D1 or N-acyl amino acids themselves could be potential therapeutic targets for the treatment of obesity. One application of this finding could be to harness brown fat to inject in to patients to stimulate weight loss. More research will have to be undertaken in the future to gain a better understanding of targeting this pathway to tackle obesity. For the time being, regulating nutritional intake and performing regular exercise should be maintained to prevent obesity, diabetes, cancer and other diseases linked to obesity. Enzo Life Sciences is your resource for a wide variety of products for your metabolic, diabetes and obesity research needs. Our product portfolio ranges from proteins, antibodies to ELISA kits and much more. See here for further information on our Metabolism Research platform.